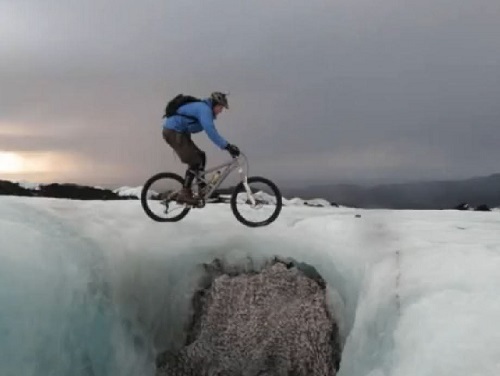 Mountain biking is an activity enjoyed by bikers around the world. There are actually plenty of incredible paths that can be enjoyed throughout Europe for those who are planning a trip or for those who are looking for a new adventure in their own backyard. If you’re interested in learning where you need to go to experience the very best mountain biking opportunities in all of Europe, check out our list below. Visit The Mountain Bike Adventure, which is a company that will take you to the very top of a volcano so that you can enjoy the ride back down on your bicycle. This unique landscape is unlike any other you will find in Europe, and it’s perfect for those who want an extra special reward at the end, as you can enjoy a swim in the sea after you’re all done with your ride. For those who really want to see some changing scenery while they’re mountain biking, the Jungfrau Region of Switzerland is a perfect match. Single-track trails are found throughout the area, with everything from cow pastures and sheer rock faces to mountain lakes and waterfalls all along the way for your viewing pleasure. You may be tempted to stop off and rest near one of these natural wonders and take some photos as well. Throughout the summer, mountain bikers flock to Leogang to enjoy the extremely well maintained trails, bike parks, and jumps that are some of the very best in all of Europe. There are even races and festivals that you can participate in throughout the season as well. The reward at the end of your mountain biking expedition will be a dip in the hot springs that are found here. But first you can enjoy riding along trails that take you through deserts, lava fields, gorges, and jagged mountains. Enjoy unspoiled natural landscapes, as well as waterfalls, all along the way in this truly breathtaking place. Ski resorts that are popular in this area of France during the winter are becoming havens for mountain bikers in the summer. 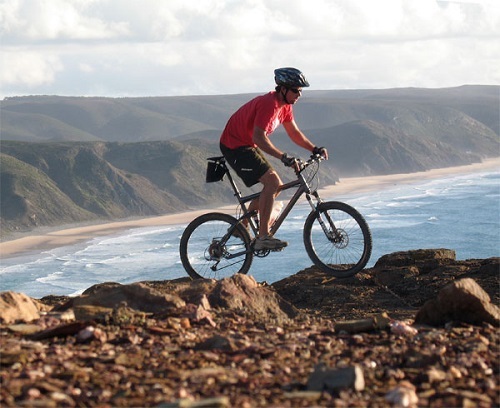 Plan an extended holiday to the area to enjoy the natural landscape and be able to get on your bike every day to explore the unique terrain. Considered one of the best trails for mountain biking anywhere, you will enjoy incredible views of clear lakes while zipping down very steep trails along the cliffs here, so be ready for some adventure when you arrive. Bike insurance is extremely important for those who love mountain biking because the activity is a dangerous one that can lead to accidents, injuries, and bike damage. Protect Your Bubble mountain bike insurance is just one of many insurance companies and mountain bike policies available for you to choose from. Do your research before you hit the mountaintops so that you can have the assurance that you’ll be covered if anything happens during your trip. Laura Ginn is a freelance writer and blogger who loves mountain biking and travelling. She combines these two passions by taking her bike whenever she travels to new destinations that offer incredibly scenic and exciting bike paths. Her favourite paths are the ones that provide gorgeous views from the tops of mountains. This entry was posted in Land Sports, Mountain Biking and tagged Europe, Mountain Biking. Bookmark the permalink.